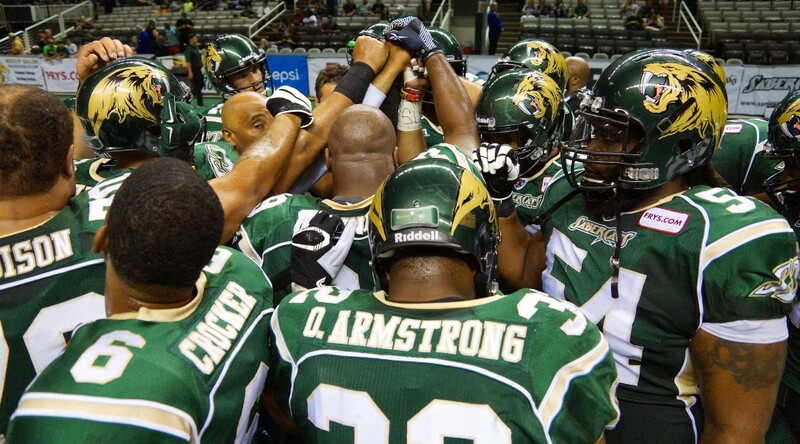 SAN JOSE, CALIF. – The San Jose SaberCats (13-1) will host the New Orleans VooDoo (2-11) at the SAP Center on Friday, July 10th. The game will be broadcasted live on ESPN2 as well as 1220AM KDOW. Playing the past two games on the road against the Las Vegas Outlaws and Spokane Shock, the SaberCats have outscored their opponents 125-58. On the season, San Jose has outscored its competition 834-511, resulting in a 23.1 average margin of victory, the best in the Arena Football League. 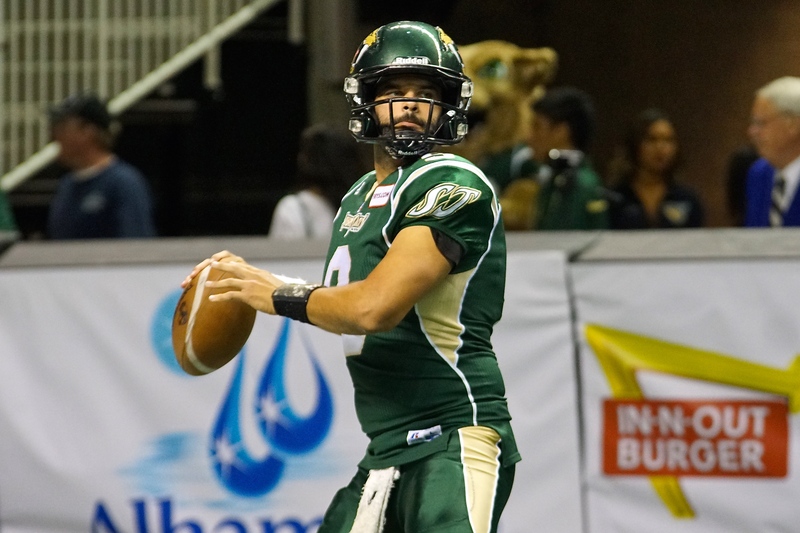 In his first game at Spokane’s Veterans Memorial Arena as a member of the SaberCats, quarterback Erik Meyer completed 76.5-percent of his passes, resulting in 277 yards and seven touchdowns, also adding another score on the ground. The 2013 AFL Most Valuable Player has thrown for 68 touchdowns, completed 65.3-percent of his passes and has only thrown six interceptions on 398 passing attempts. Meyer has thrown a touchdown pass to ten different receivers this season, with Reggie Gray leading the way. Ranking second in the league with 33 touchdown receptions, Gray is tied with Philadelphia Soul receiver Marco Thomas for first in the AFL with 124 receptions and is fourth with 1,349 yards. “Big Play” Reggie Gray has also returned three kickoffs for a touchdown and his 216 points scored is the most in the league. With Meyer and Gray pacing the offense, San Jose leads the AFL, scoring an averaging of 59.6 points per game. Meanwhile, the VooDoo offense is led by second year quarterback Adam Kennedy. Making nine appearances this season, Kennedy has completed 60.8-percent of his passes for 28 touchdowns, while also leading New Orleans in rushing. 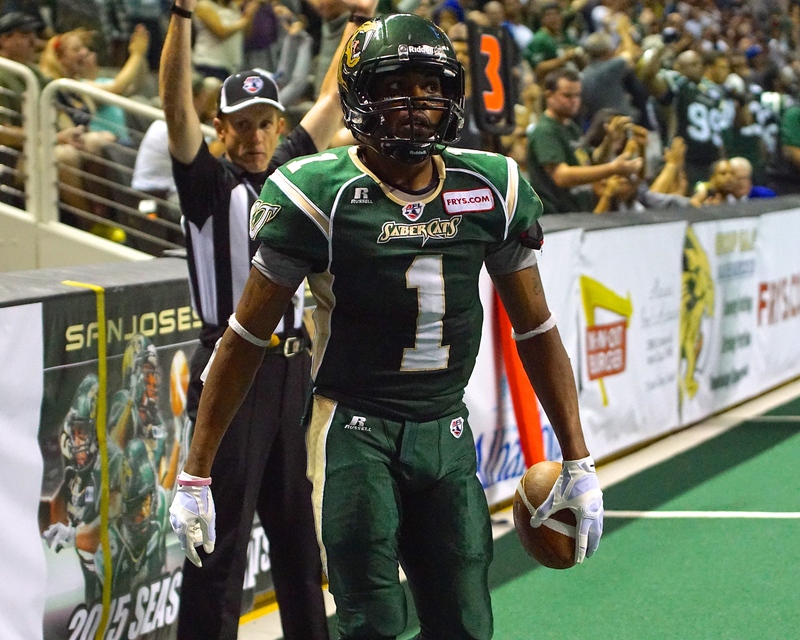 Chris Duvalt has been the number one weapon for the Voodoo, totaling 17 touchdowns on 951 receiving yards. 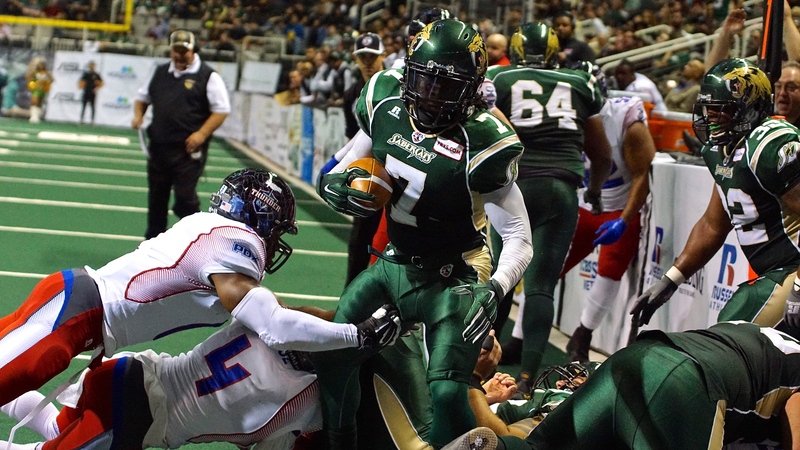 After a stellar career with the Alabama Hammers of the Professional Indoor Football League (PIFL), receiver Charles McClain has made an immediate impact for New Orleans. In only three games, McClain is averaging 87.7 receiving yards per game and has five touchdowns, emerging as one of Kennedy’s favorite targets. 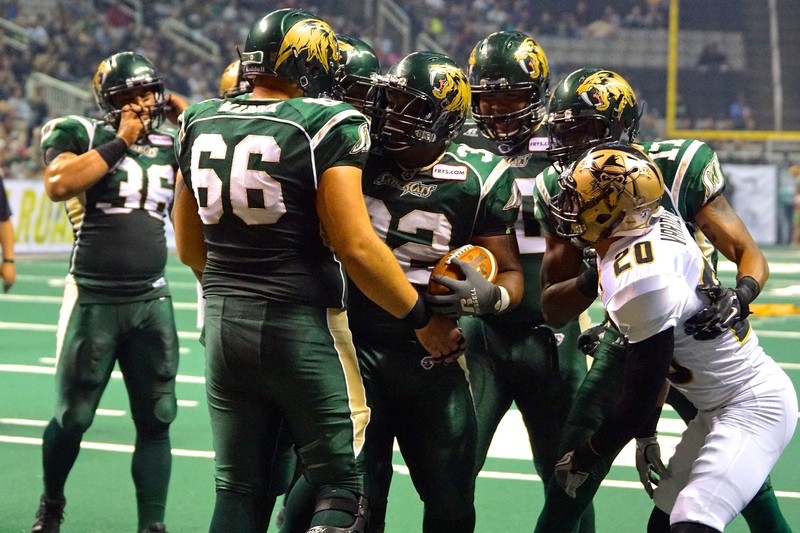 In order to stop the VooDoo’s attack, the SaberCats will need to rely on their defensive front to create havoc. Earning Second Team All-Arena honors last season, Francis Maka leads the team with 10.5 tackles for a loss and has already tied his sack total from last year (9.5) in four fewer games played and is ranked second in the league. Right behind Maka is defensive tackle Jason Stewart with 8.0 sacks on the season, tying him for fourth in the AFL. Donte Paige-Moss (7.5) and Luis Vasquez (6.0) also rank in the top ten in sacks, with San Jose amassing a league-high 37 sacks. While the defensive front has been a disruptive force, it has been the SaberCats’ secondary that has stifled their opponents passing attacks. Defensive back Ken Fontenette has put together one of the best seasons statistically in his career. Fontenette leads the AFL with 104.0 total tackles and 23 pass breakups, adding ten interceptions. Leading the secondary with Fontenette is veteran Clevan Thomas. Ranking second in the league all- time in interceptions, Thomas has added four interceptions and is ranked fourth on the team with 34.5 tackles. At the linebacker position, David Hyland is second on the team with 76.5 total tackles, nine pass breakups and has capitalized on loose balls, totaling five fumble recoveries. The SaberCats’ defense has been dominant, surrendering a league-low 36.5 points per game. 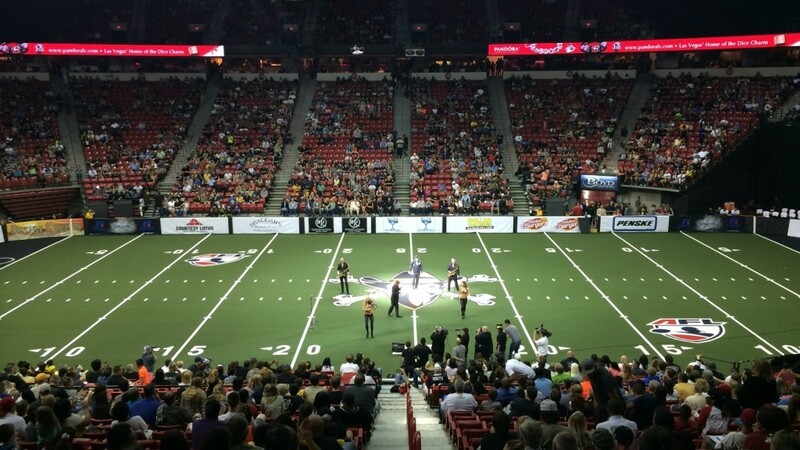 The last matchup between these two squads was in 2013, where the SaberCats defeated the VooDoo 57-38 at the Mercedes-Benz Superdome in New Orleans. 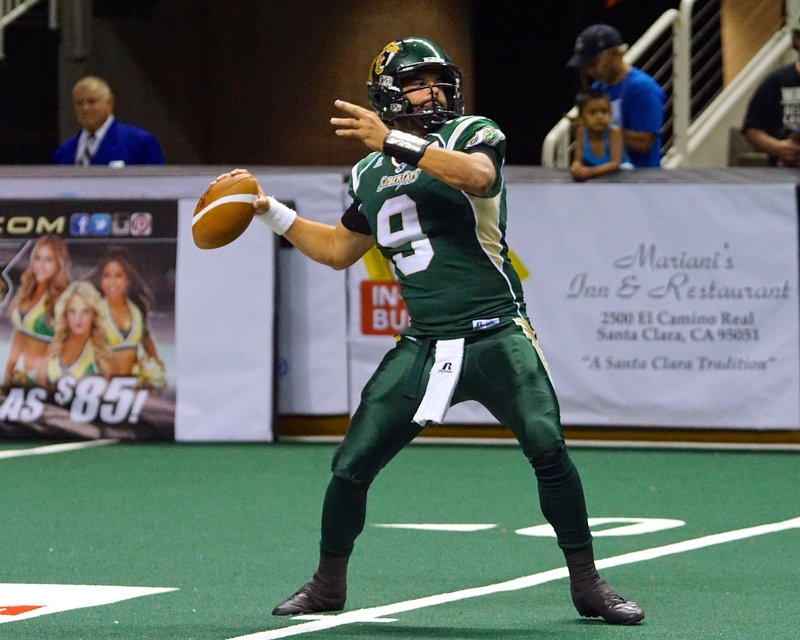 SAN JOSE, CALIF. – The San Jose SaberCats (11-1) head to Sin City, to take on the Las Vegas Outlaws (4-7) for a National Conference game on Father’s Day Sunday, June 21 at 2PM PDT. Already clinching the Pacific Division championship, San Jose will be battling down the stretch for the best record in the AFL for the potential opportunity to host the ArenaBowl. 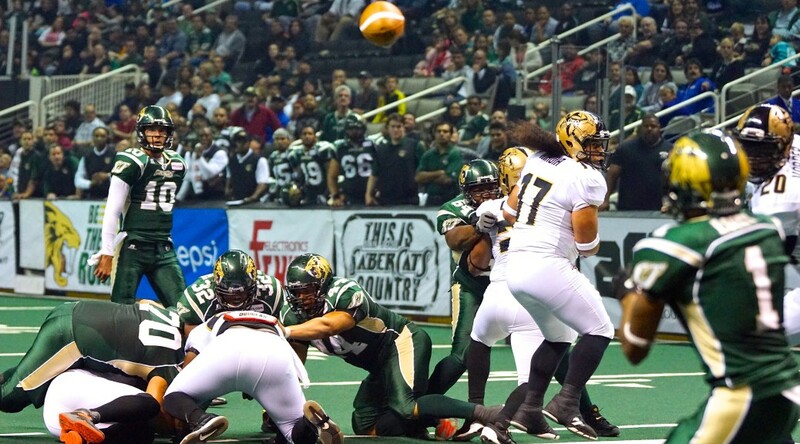 Currently, the SaberCats have a full game lead over the Philadelphia Soul (10-2) for the top mark. 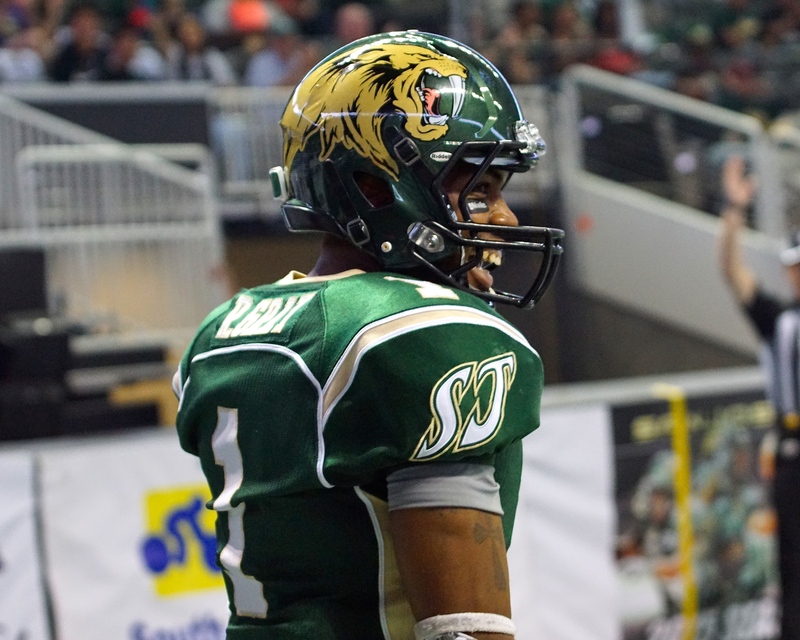 Leading the SaberCats offense, receiver Reggie Gray reached triple-digit receptions with 102 for the fourth time in his career, going for 1,128 yards and “Big Play’s” 29 touchdown receptions leads all in the AFL. Gray will likely draw the attention of Las Vegas’ defensive backs, Tanner Varner or Eddie Moten. Varner is a versatile athlete and a veteran leader on the defense, ranking at the top in total tackles with 69 on the season. Quarterback Erik Meyer ranks among the AFL best, completing 63.7-percent of his passes and is averaging 240.5 yards per game. Meyer has been able to spread the ball around to his teammates, already throwing for 59 touchdowns to 10 different receivers this season. After putting up a season-high 49 rushing yards last week, Meyer also became the team’s leading rusher with 106, eclipsing the 100-yard mark along with fullback Odie Armstrong (101). 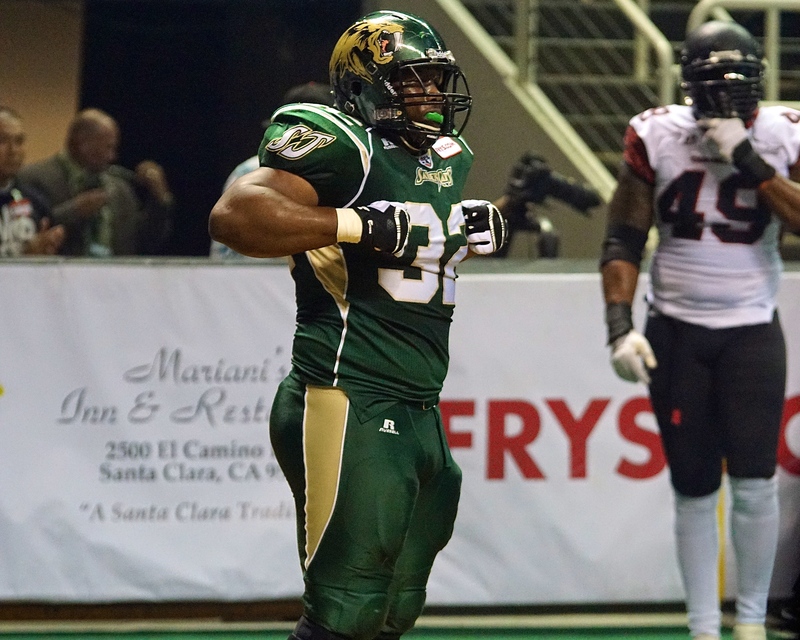 Paired with Varner, Moten, is coming off his best performance of the season last week against the Spokane Shock. 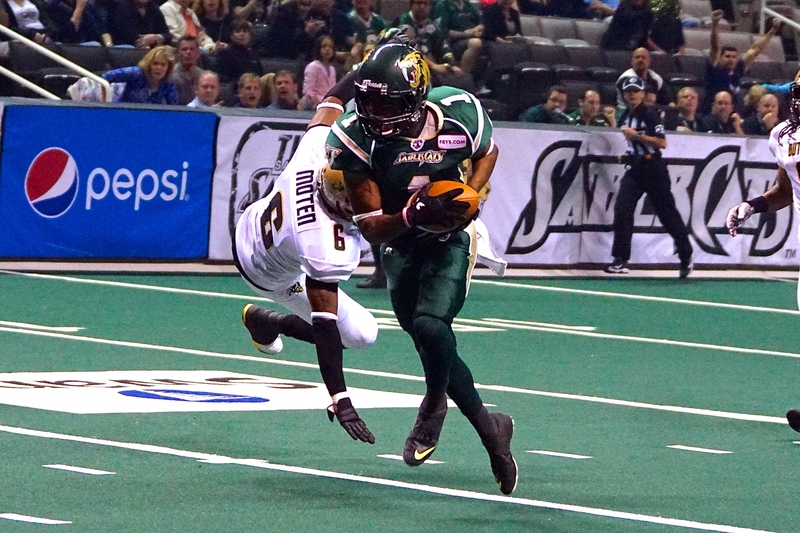 Moten, a nine year veteran and former SaberCat, had two interceptions, returning one for a 12-yard touchdown in the 62-56 victory over the Shock. A starting defensive lineman for San Jose last year, Terrance Carter has relished in the same role in Las Vegas. Carter is tied with Mike Lewis for a team high five sacks this season, with both registering one last week. The leading man offensively for Las Vegas has been receiver Jomo Wilson. This season, Wilson has 795 receiving yards and 19 of his 63 receptions have gone for touchdowns. In last week’s win, Wilson grabbed five receptions for 85 yards and two touchdowns, pacing the offense. 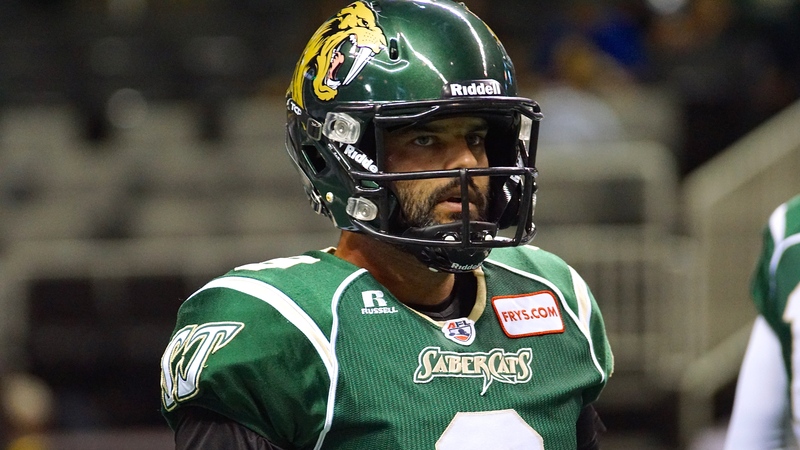 Wilson and teammate Tysson Poots have both had recent success making plays for the Las Vegas offense, but they will be running into a SaberCats’ defense led by the AFL leader in tackles and interceptions, Ken Fontenette. 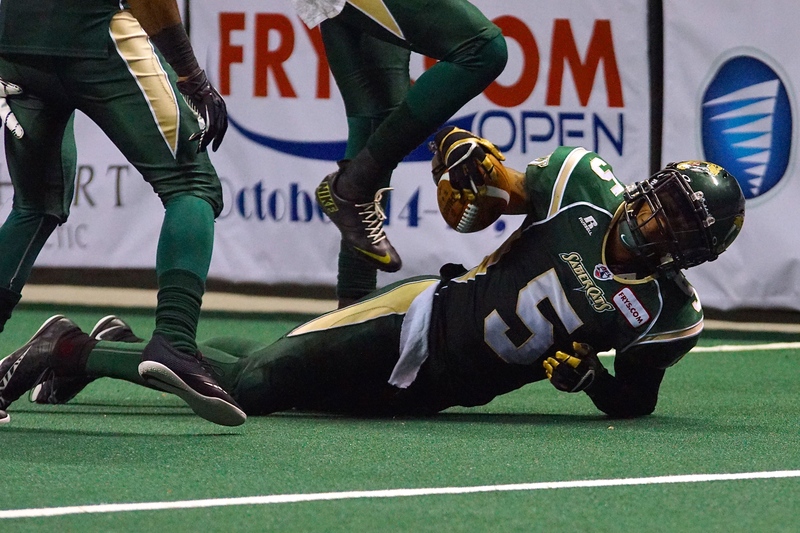 The SaberCats’ defense has allowed just 37.8 points per game this season, ranking them first in the AFL. San Jose also leads the league in interceptions (21) and sacks (30) but most notably, the SaberCats’ defense is holding teams to a 24-percent fourth down conversion rate. While the offense is converting on 48-percent of its fourth downs, the ability for San Jose to force turnover on downs by its defense, specifically in the red zone, has assisted in the team’s success thus far. The previous matchup between these two teams was a 61-28 victory by the SaberCats at home in May, while the last meeting in Sin City was the season opener back in March. In that game, from the Thomas and Mack Center, San Jose jumped out to an early 28-0 lead and eventually went on to win 59-41, in the Outlaw’s AFL debut. This will be the third and final installment for the regular season between the SaberCats and Outlaws.